Thin moulded wood legs run through a linoleum table top. Stability is increased due to the bent shape of the legs. Thus, the material thickness of the legs is only 10 mm. 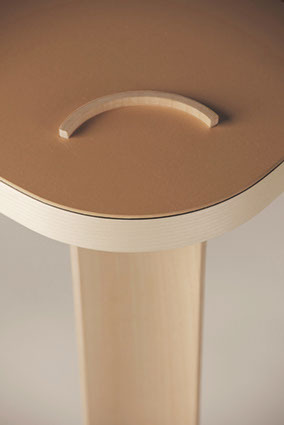 To assemble the table, the legs are implemented through the top and then wedged. 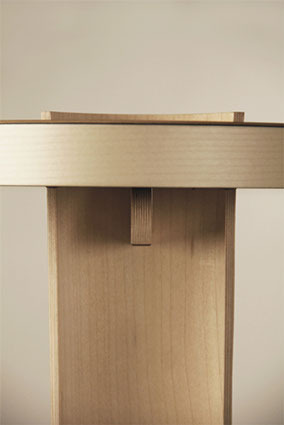 A traditional wood joining technique is reinterpreted in a free, contemporary context.